"Congratulations to Emmanuel Macron on his big win," Donald Trump tweeted. 39-year-old Emmanuel Macron will become the country's youngest-ever leader. 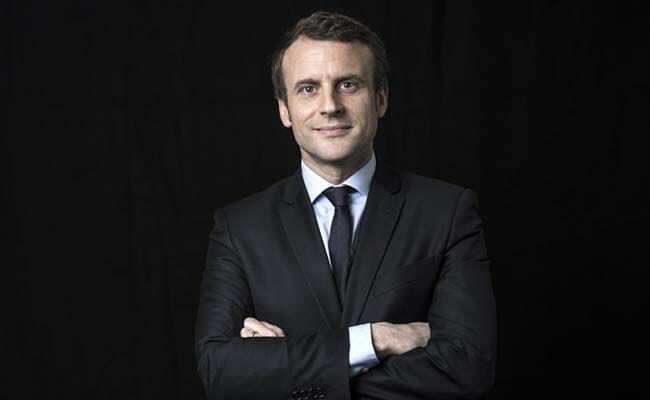 Washington: US President Donald Trump congratulated Emmanuel Macron on his victory in France's presidential election on Sunday. Trump had backed neither Macron nor his far-right rival Marine Le Pen ahead of the vote's second round. "Congratulations to Emmanuel Macron on his big win today as the next President of France," he tweeted. "I look very much forward to working with him!" Trump had earlier hinted that Le Pen should benefit from security fears after terror attacks in France. Before the first round of the election last month, Trump said a deadly attack against a police officer in Paris would have a "big effect" on the vote and he praised Le Pen on immigration, calling her "the strongest on what's been going on in France." The White House on Sunday also issued a formal statement congratulating "Macron and the people of France on their successful presidential election." "We look forward to working with the new president and continuing our close cooperation with the French government," White House spokesman Sean Spicer said in the statement. The prospect of a Le Pen victory had prompted serious concerns about a global right-wing, nationalist resurgence that brought Trump to power and saw Britain vote last year to leave the European Union. Trump's predecessor Barack Obama released a video statement last week backing Macron, a centrist who he said "appeals to people's hopes and not their fears." Others weighed in on Macron's victory on Sunday as well. "Congratulations to President-elect @EmmanuelMacron and the French people," former US president Bill Clinton tweeted. Vermont Senator Bernie Sanders -- who unsuccessfully challenged Clinton's wife Hillary for the Democratic nomination last year -- tweeted "Congratulations to the people of France who today, by an overwhelming vote, rejected racism and xenophobia."